In 2016, as the first voluntary register to be accredited by the Professional Standards Authority (PSA) in this specialism, the standards related to education and training posed a challenge, given the landscape and the scope of the changes recommended by Health Education England. At the time, new qualifications were not widely available. By 2017, OFQUAL approved Level 7 qualifications and University courses were available but in the absence of national curriculum standards, the PSA required us to set our own. As we enter our second year of PSA accreditation, we have developed Essential Training Curriculum Standards (ETCS) for those procedures that pose the highest risk (as identified by an audit of consumer and patient complaints). We are delighted to announce that the Save Face Essential Training Curriculum Standards (ETCS) has been approved by The PSA. In addition, leading insurer Cosmetic Insure will recognise the Save Face ETCS and offer reduced premiums to Save Face registrants. For the first time, the ETCS will enable practitioners without Level 7 or University awards, to benchmark their knowledge and skills against a PSA recognised standard. It is a self-assessment tool, to map against training courses, CPD activities and self-directed learning. It ensures our registrants can be certified as having the knowledge and skills as defined in the curriculum, to competently deliver these treatments. In combination with Save Face Accreditation, the ETCS is another method that our members can utilise to differentiate themselves from the multitude of laypeople offering these treatments and claiming to be ‘qualified’. Save Face ONLY recognizes healthcare professions able to prescribe within the scope of aesthetic practice. The ETCS certificate will only be awarded to Save Face registrants, though the standard itself is accessible to all. Each tab on the menu below details the criteria needed for each award. 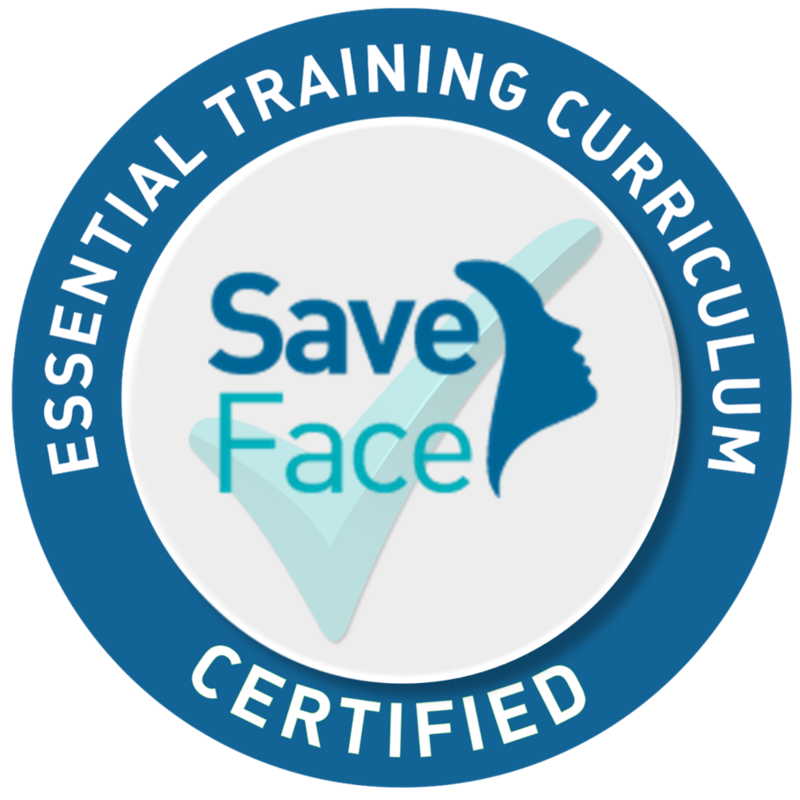 Save Face is the only register that has a PSA approved Essential Training Curriculum which enables practitioners to achieve a certified level of learning without undertaking Level 7 or University Awards. This badge is awarded to practitioners who have successfully passed the Save Face Accreditation assessment and have completed a self-assessment against the Save Face Essential Training Curriculum and confirmed learning and competency standards have been met. 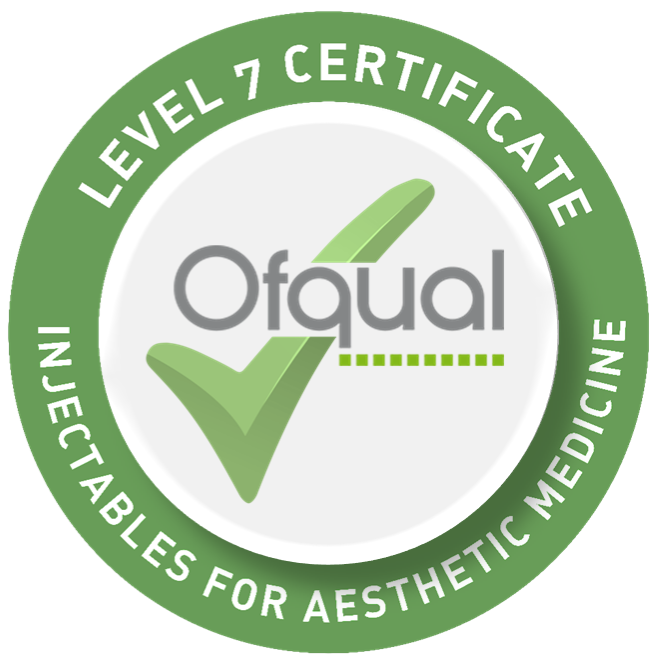 This badge is awarded to practitioners that have successfully completed an OFQUAL regulated, recognized qualification in Cosmetic Injectables (botulinum toxin and dermal fillers), which examines both knowledge and skills at Level 7. In order to achieve the qualification practitioners undertake up to two years of study, observed and supervised practice, produce portfolios of evidence and undertake written and practical examinations to achieve the award. This badge demonstrates that the practitioner has successfully completed a University awarded qualification in Aesthetic Medicine. For each of the three years of the course, a practitioner will be awarded a different certificate as illustrated below.